Since 2006, the initiatives have collaborated with the communities of TMP to map important habitats, ecosystems, and areas for livelihood generation. Working with coastal communities and fishermen, community mapping was conducted to document important traditional fishing area, sea turtle nesting beaches, distribution of biodiversity such as sea turtles and dugongs based on observations, and common environmental issues in the area. Commercial fishers have identified important commercial fishing ground such as demersal, purse seine and crab fishing ground. These local knowledge were gathered through a community survey conducted in 2006-2007 by Sabah Parks and WWF-Malaysia. Community profile of TMP was also developed from the same community. The survey found that the coastal communities within TMP are mainly primary resource users with low income and limited formal education with aspirations for alternative livelihood to alleviate their socio-economic condition. This means their activities directly affect the biodiversity and marine ecosystems around them, and have primary interest in the management of their resources. At the same time, continuous scientific researchers are also delivered. This include a scientific expedition that was conducted in 2012. The expedition was jointly organised by Universiti Malaysia Sabah (UMS), Naturalis Biodiversity Center, Sabah Parks and WWF-Malaysia with collaboration from Universiti Malaya and the University of Queensland, and was financially supported by the Ministry of Science, Technology and Innovation (MOSTI) as part of their Coral Triangle Initiative Programme, and the Coral Triangle Support Partnership (USAID CTSP). 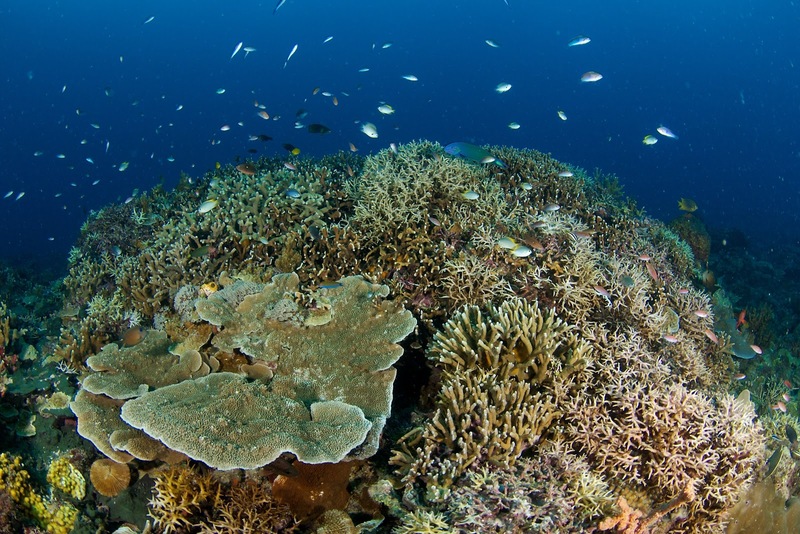 After 19 days of observations, the status of many reefs has been explored and they are showing apparent signs of stress from overfishing and destructive fishing methods used around the proposed park. Focused interviews and field surveys in the proposed TMP have provided a better understanding of species which occur regularly and appear to depend on resources within the area for survival.